To get the most out of a drinking water filter system, contact your water municipality or conduct a well test to find out what contaminates are in your drinking water. But remember, not all water filtration systems will remove every pollutant, such as metals or parasites. Whatever type of unit you buy, always select a unit with an activated carbon filter bearing NSF Standard 53 certification, which ensures removal of the most common contaminates. Know what contaminants are in your water before purchasing a water filter. Carafe water filters require an initial purchase of a filter and pitcher to hold water as well as periodic replacement of a filter once a certain period of time or water usage amount has elapsed. According to Consumer Reports Magazine, the Tersano Lotus LWT100 countertop pitcher is the best countertop carafe water filter. Out of seven different models, the Tersano Lotus LWT100 pitcher received an Excellent ranking for lead and chloroform removal, which is an indicator of how well a unit can remove organic compounds and disinfectants such as chlorine. The Tersano Lotus LWT100 water flow rate was also ranked as Excellent. Although Consumer Reports considers this $150 (December 2010) carafe filter as the model of this type, the publication also gives a Best Buy ranking to the Clear2O CWS100A, a $30 carafe which received an Excellent report in all categories except for Clogging, which received a Very Good score. Countertop water filters don't require plumbing modifications and work by screwing the unit onto your sink's faucet after removing the aerator. Their downside is that they take up counter space. Culligan manufactures several countertop water filters, many of which are recommended by both Consumer Reports and the Water Filter Critic, a water filter research and review resource. The Culligan CT-2 filter's unit retails for just $35, lasts approximately 4 months or 400 gallons and will remove up to 995 percent of contaminates. Another model by Culligan, the FM-15A, is just $15 but received an Excellent report in all categories by Consumer Reports, except for Flow Rate, which received a rating of Fair. Faucet water filters are another inexpensive way to filter contaminants out of your drinking water. 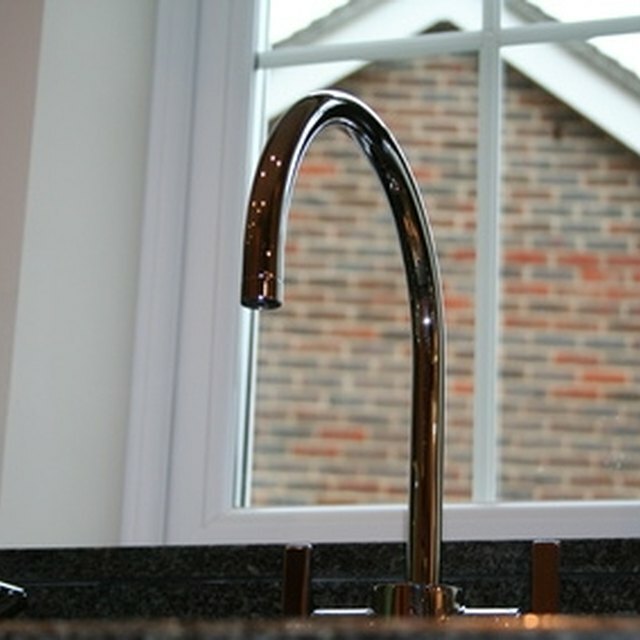 Similar to countertop water filters, they work simply by screwing the filter onto the faucet after the aerator has been removed but take up no counter space. Another economical aspect of this type of unit is that you can switch between using filtered and unfiltered water, which can reduce the frequency in which you need to purchase replacement filters. The Natural Resources Defense Council recommends comparing maintenance costs of all water filtration systems before purchase Pur has the largest selection of faucet water filters, and their Pur Vertical FM-3700, a $25 unit, received a Best Buy rating from Consumer Reports. Three out of four users of the online community Sick Homes concur, giving this unit a five star rating.